Take a Limousine Bus to Saijo Station. It takes approximately 25 minutes. 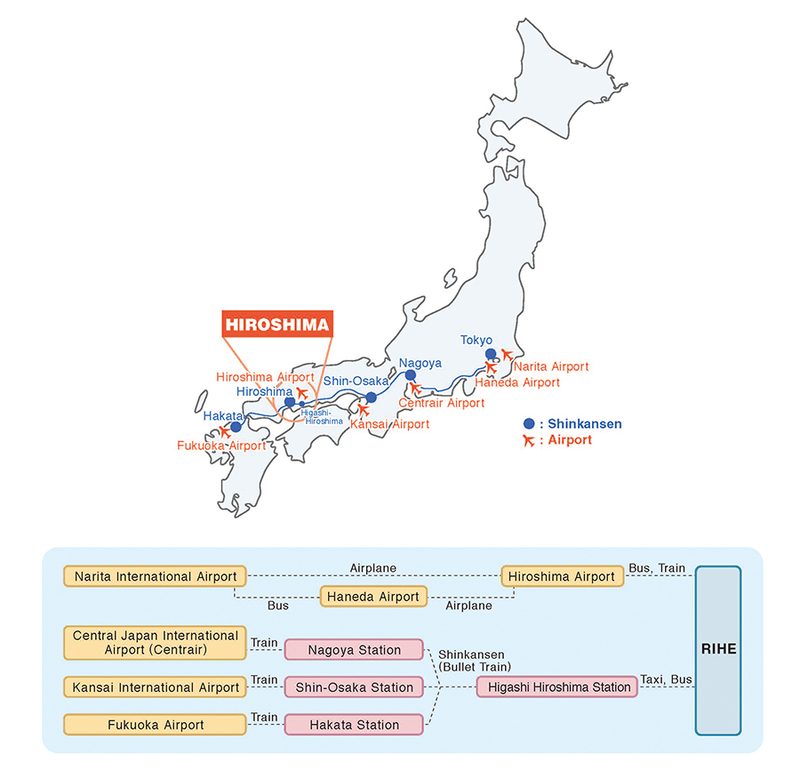 Timetable and fare are available at Access information on Hiroshima Airport Homepage. 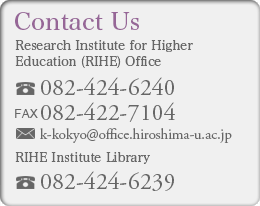 JR Higashi-hiroshima Station, only Kodama Express stop, is the nearest one to Higashi-hiroshima Campus. Take a bus bound for Hiroshima University and get off the bus at “Hirodai-chuoguchi” (15 min.). However, there is a very limited bus service to the Campus. We would suggest taking a taxi to the Campus (10 min., approx. 2000yen) or organize for someone to pick you up. Take a train on the Sanyohonsen line bound for Saijo, Shiraichi and Okayama. It will take approximately 30 minutes by express and 40 minutes by ordinary train. Get off the train at Saijo Station.